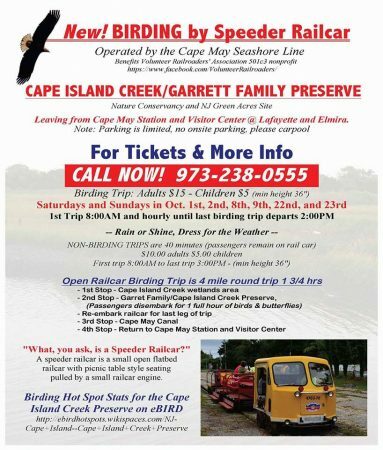 Birding Motorcar trips out of Cape May – Volunteer Railroader Association Inc.
Just announced, special Birding Motorcar trips out of Cape May station October 1st, 2nd, 8th, 9th, 15th & 16th, 22nd, 23rd and 29th. Tickets are $15 for adults and $10 for children under 12. First trip each day at 8 am then every hour on the hour until 2 pm. Trip lasts 1 hour and 45 minutes. 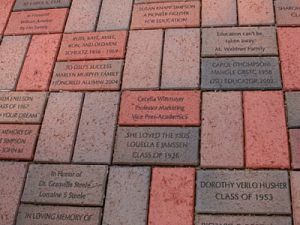 Regular sight seeing with historical narration trips are $10 for adults and $5 for children. Trip lasts 45 minutes. 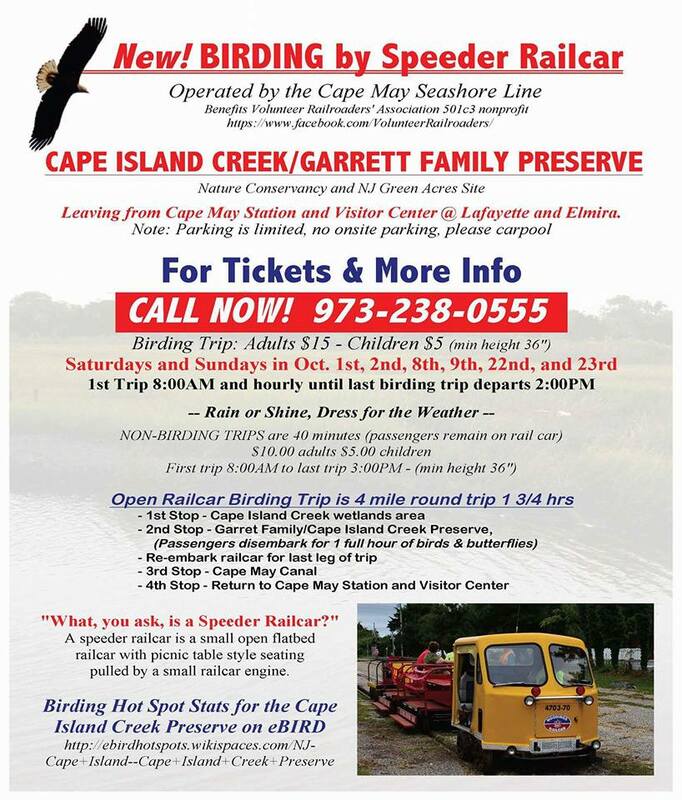 For tickets or more information call 973-238-0555 and leaving a message for a call back or just come to Cape May station starting at 7:30 am on the day of the trip. On line ticketing coming soon. Minimum passenger height restriction of 36″ for all trips. See flyer below for more details. Click images to enlarge. These trips are being operated by the CMSL for the benefit of The Volunteer Railroader Association Inc. Please come out and join us these weekends this fall.